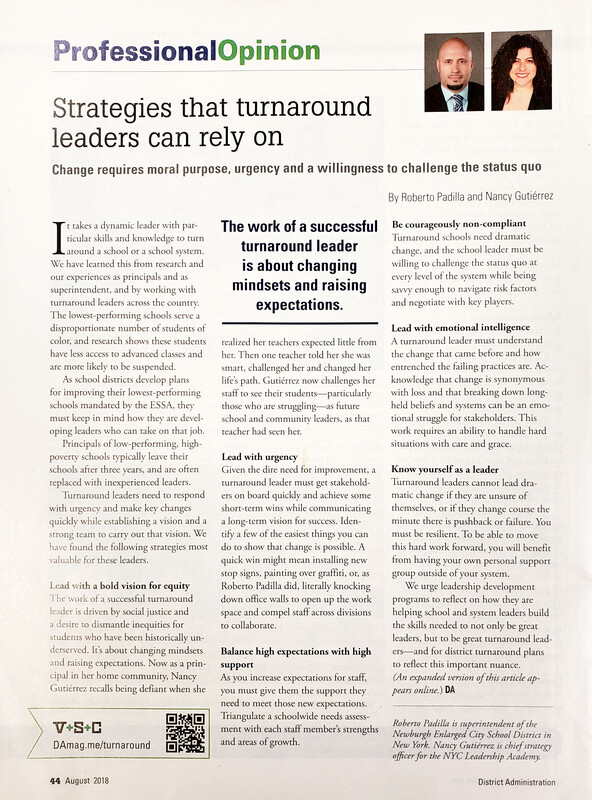 In an essay published by District Administration magazine, incoming CEO Nancy Gutierrez and Newburgh Enlarged City School District Superintendent Roberto Padilla write about the skills needed to turn around a school. “Change requires moral purpose, urgency and a willingness to challenge the status quo,” they write. Read their detailed list of critical leadership moves and strategies here.